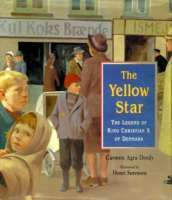 I read Number The Stars and felt as if the book gives a different view on experiences during this time era. I highly recommend this book if you haven’t already read it! It is a great book to use in schools to teach older elementary kids about the Holocaust. Tropical Secrets is written in verse format, resulting in a simple but yet sophisticated and developed story line. The author portrays a unique perspective on Jewish refugees in Cuba. I never would have thought there were Jewish refugees who ended up in Cuba before learning about this book. This book would be a great teaching aid about Nazi Germany. Suggested for upper elementary/middle school. Tropical Secret is really moving and makes the reader think about how many struggles those that escaped went though during WWII. There are of course many books focused on the holocaust and WWII, however, most are views from within Europe. I appreciated the different perspective Engle gave in this novel. Another thing i enjoyed about it was the style in which she wrote in in. It is very child friendly read that still includes descriptive wording and stimulating vocabulary. It is an inspiring and interesting read for students of many ages and adults. “Tropical Secrets” illuminates an untold history of Cuba’s role as a sometimes safe harbor for Jewish refugees during WWII. The narratives are lyrical and as alluded to in the conclusion, “Tropical Secrets” could be the title of a favorite fable sung in the corner of a dark cafe accompanied by the flamenco guitar Jewish refugee Daniel is gifted by native daugther Paloma.